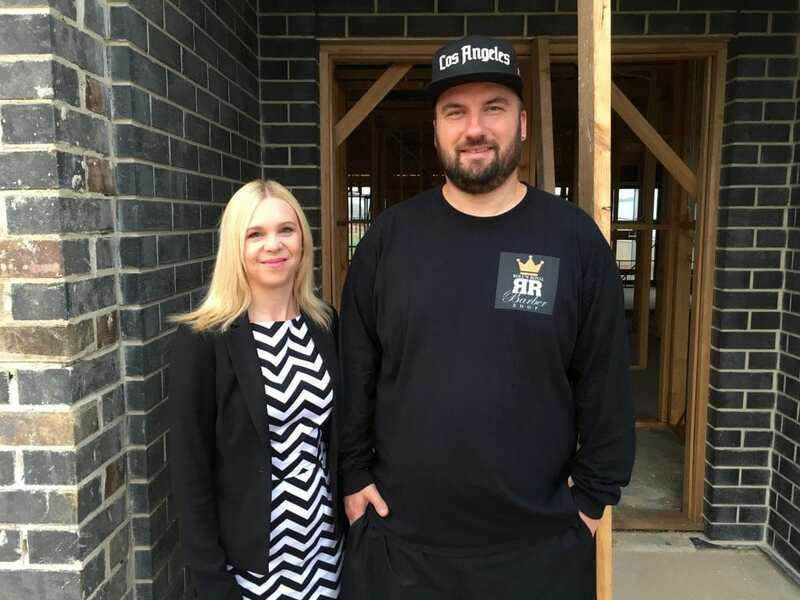 We spoke with new Aston Hills residents – Chris from Mount Barker’s Roll N Royal and his wife Ashleigh – about their custom built Metro Home and why they are looking forward to moving into their new address! Q: Where are you both from? A: I’m from Golden Grove but Christopher has lived in Mt Barker for over 20 years. Q: What made you make the decision to move here? A: I think it’s the beautiful hills and the change of scenery and definitely the community, it’s a really good community vibe. You’ve got beautiful places like Hahndorf that are five minutes away. The wineries… it’s just a nice, beautiful calm area here. It feels like you’re out of the city. Q: What made you decide on Aston Hills? C: I like Aston Hills, I like the views it has. You don’t feel like you’re caged in, you don’t feel like you’re in a concrete jungle. I like the fact it’s going to have all the convenient facilities, so it’s going to have a school and a shopping centre. So it’s going to have everything you need which will make it its own little community, which I like. For me it was the views. We’ve built on a block that has views front and back and every day I think, you can’t beat that. Q: What are you looking forward to the most about living here in Aston Hills? C: It’s going to have some nice parks around. The fact you can walk right down to the shops and do your shopping, hopefully they’ll have some nice coffee shops there. This is a real community, and we like that it’s just down the road from the new freeway interchange as well so that makes it handy. You just drive down the road and you’re on the freeway. Q: What do you love most about the Adelaide Hills? C: I’m originally from a farm, a big farm and I like space. I’ve lived on land my whole life and I don’t feel this is too small. I look around and I see trees, I see hills. It feels open, and it’s fresh up here too. I love the hills, I’ve lived here over 20 years. I went to school up here. It’s beautiful, what can you not love about it? It’s close to the city, but it feels far away. And it has a good community feel. Obviously being a local barber here I interact with a lot of people and I talk to a lot of people. Everyone up here is part of a good community, it’s not just the Mount Barker community it’s the whole hills community I’ve noticed. What’s not to love about it? I love it, and hopefully Ash loves it. Q: Are you planning on staying in Aston Hills for a while? C: I love it here, and it’s a good place to bring kids up, that’s why I said if we have kids one day I want to bring them up here. You can walk around up here and feel safe. There’s lots of parks. Aston Hills to me will be our home for the next 10-15 years. Who knows, we might be here for 20 years! But so far we’ve just got to get our house built! Q: Do you think there are more young people moving to Mount Barker? C: I get the majority of young guys coming into Roll N Royal, young people up here like ourselves. There’s a lot of young people moving up here like our neighbours who have moved to Aston Hills from down south. It’s a good place to come as it’s close to the city and I think people realize that. I remember when we used to travel to Adelaide before the tunnels were in, that was a bit of a mission. But since the tunnels went in it’s just a hop, skip and a jump. It’s really good. It’s 20 minutes, 25 minutes down the freeway but it feels like it’s far away which is what I love about it. Q: Do you enjoy the commute to the city? C: As soon as you hit the freeway it feels different, you feel relaxed. I’ve grown up in the country my whole life. Ashleigh’s a city girl she loves the shops. But they’re not far away. It’s peaceful and quiet here. You’re in the middle of everything – the wine regions and the beach aren’t far away. I think Mount Barker will become the hub of everything, the hub of the Adelaide Hills. I think if you have a house here it will be a good investment.